The east coast festival scene is rapidly growing into a massive movement, with most events embracing reggae artists with open arms. 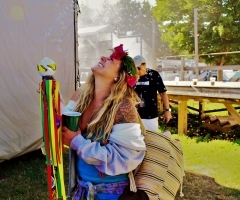 One notable event on the rise is Massachusetts’ Levitate Music and Arts Festival – now in its 5th year! From its humble beginnings as a friendly community barbecue in 2013, LMF has skyrocketed its celebration of surfing, skating, art, and music to include the biggest names in the industry, all the while still holding tight to their grassroots. After receiving a nod for “Music Festival of the Year” in the Pollstar Concert Industry Awards, the LMF crew thought it was dire time to expand MA’s “biggest little festival” for 2017. 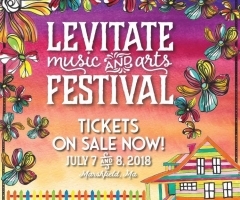 Thus, with the expectation of over 10,000 fans per day, the 5th Annual Levitate Music Festival will now span a whole weekend this upcoming July 8th and 9th at the Marshfield Fairgrounds! And, although running longer, there will be no lack of entertainment. Boasting a “homegrown vibe”, LMF is staying true to their word by welcoming Boston-based folk band Dispatch to headline in 2017! Accompanying the local legends is one of the top reggae names in the business; ladies and gentleman, closing down the other night will be none other than Ziggy Marley, in the flesh. Joining the headliners will be Umphrey’s McGee, Lake Street Dive, Stick Figure, The Revivalists, JJ Grey and Mofro, Twiddle, Deer Tick, Trevor Hall, Rubblebucket, Ripe, Rebirth Grass Band, Pigeons Playing Ping Pong, Giant Panda Guerilla Dub Squad, Ghost of Paul Revere, Quinn Sullivan, Landon McNamara, and SixFoxWhiskey. That’s right – a total of 20 bands in two days! You might think there is no way that you would be able to see all the bands listed above in just two days time, yet the LMF staff promises festivalgoers that there will be absolutely NO overlap between artists. That means that everyone can enjoy every musical act without having to decide on one over another. Top it off with local artists, unique cuisine from food truck vendors, and some cold craft beer, and you’ve got yourself one hell of an eclectic good time! With a while to go before the big weekend, you’ve got plenty of time to purchase tickets. However, you can now get the best deal with early bird general admission 2-day passes starting at just $99. This is an all-ages event, but if you’re bringing the family, keep in mind that kids ages 4-12 need their own ticket to get in! Don’t worry though – kids 2-day tickets are a mere $20 a pop. VIP options are also available, and you won’t believe how affordable those are either! Want to skip the hotel bill and opt for camping? 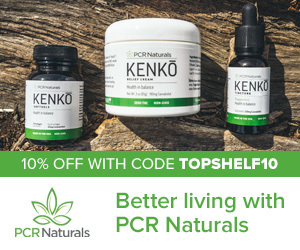 It’s summertime, after all! LMF attendees can reserve a weekend camping spot through the Wompatuck State Park for only $17 per night, and once you reserve your spot, make sure to buy a bussing ticket to the event! Camping at Wompatuck includes full amenities and fire pits, but just remember to BYOI – bring your own instrument! 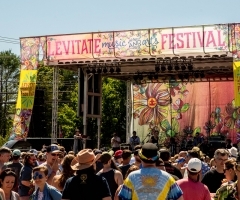 One last thing: the Levitate Music Festival is all about community building, and this year, $1 per ticket sold is going to be donated to the Boys & Girls Club of Marshfield. So, make the Marshfield children’s community better by joining in on a fun-filled weekend at the fairgrounds! 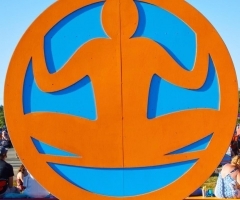 For more information, visit www.levitatemusicfestival.com.